Application of California Law in Non-Compete Litigation? In a recent East Coast/West Coast conflict, courts in Massachusetts consider the application of California Law in a non-compete litigation. Massachusetts courts are not the only courts to come up against this particular issue either. Other courts around the country have also been asked to study the application of California law in litigation based on non-competition agreements. Generally speaking, non-competition agreements are not enforceable in California. So, employees who have worked in another state or in situations where the agreement contains a forum selection clause outside of the state of California are rushing to file in California court or present other state courts with the argument that California state law should be applicable. Either action would offer them the hope of avoiding mobility restrictions. The issue was considered in connection with the case FTI, LLC, et al. v. Duffy, et al. in which three of the plaintiffs’ former employees resigned. Shortly after resigning they filed suit in California seeking a ruling that the non-compete agreements were unenforceable. Five months later, the plaintiffs filed suit in Massachusetts alleging a breach of the non-compete agreements, as well as other violations (i.e. trade secret misappropriation, breach of fiduciary duty, unfair competition, etc.) The defendants moved to stay the case pending resolution of the California suit. One former employee also moved to dismiss the claims citing a lack of personal jurisdiction. The Massachusetts court did not stay the case. In situations when duplicative lawsuits are filed in multiple jurisdictions, the later-filed action is typically stayed, but courts have discretion and can give preference to the later-filed action when doing so best serves the interests involved in the case. In this case, the court held that the two seemingly duplicative lawsuits actually had minimal overlap. The California case sought to void the non-compete agreement. The Massachusetts case focused on other claims. Additionally, the agreement was governed by Maryland law and a court in California would have no greater expertise or ability to apply Maryland law than a Massachusetts court. The court held that Massachusetts had an equally strong interest in the case due to the fact that the plaintiffs alleged defendants committed a number of business torts during the time of employment cited by court documents. The Massachusetts court also denied the employee’s argument that the case lacked personal jurisdiction. The court found that the employee had sufficient minimal contacts through his supervision of six employees in the state, regular travel to the state of Massachusetts in order to fulfill supervisory duties, and that he billed more than 130 hours to the company while working in Boston in the year 2014 alone. The court also found that since the employee filed a suit in California (revealing that he was willing to travel across the nation to litigate a case) he would not be unfairly burdened by the need to defend himself in a Massachusetts court simply because he resided in New York. 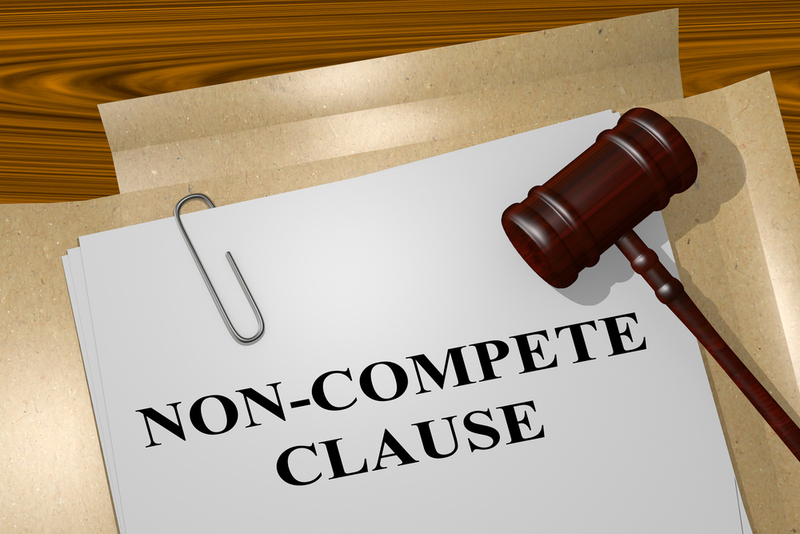 If you have questions about California state law and how it applies to your non-compete agreement, please get in touch with one of the experienced California employment law attorneys at Blumenthal Nordrehaug Bhowmik De Blouw LLP.